Tap the keg and inspire your guests in Cheers for their favorite local breweries when you give them Beer Festival Artisan Drink Tickets at your event. 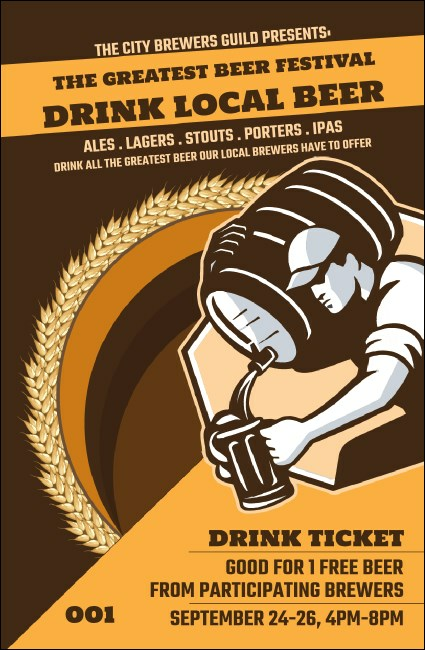 These classy ticket templates feature a specialty beer theme that will ring perfectly with microbrew fans and other beer lovers. Keep your event secure with sequential numbering on each ticket. TicketPrinting.com has the right ticket to fit your taste.